Tree-ripened sweet mangos blended with crushed ice. 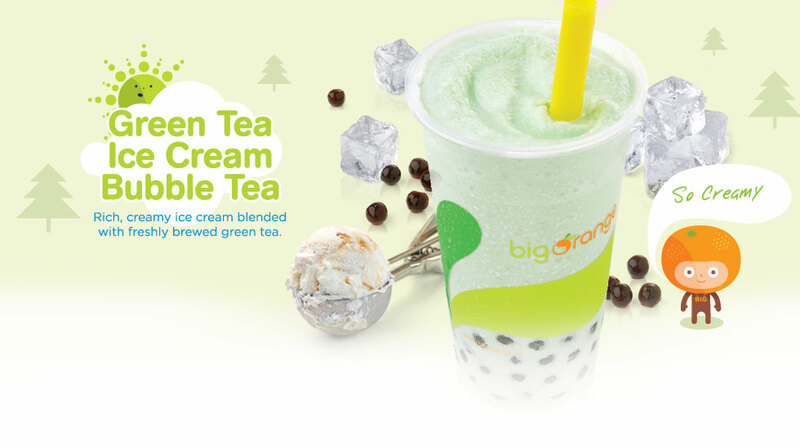 Rich, creamy ice cream blended with freshly brewed green tea. Refreshing Green Tea, crushed ice and tasty bubbles. Big Orange is the trade mark for Big Orange Franchise Corporation. The trade mark Big Orange was first used in 1996 for the “Big Orange Store” at Metrotown Mall in Burnaby, BC, Canada. Its products mainly focused on fresh fruit based drinks. In 2002, Big Orange deveploped the new concept. Since then, twelve Big Orange franchised stores have been established in the Greater Vancouver Area in Canada, two in Victoria Canada, three in Ontario Canada, four in United States, and three in Malaysia. 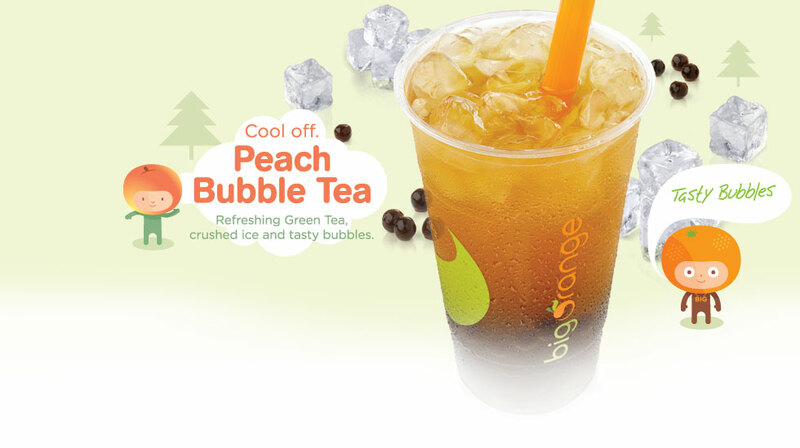 Nowdays, Big Orange’s products have been developed further to include fresh fruit bubble teas, regular bubble teas, real milk bubble teas, ice cream bubble teas, waffles, and desserts etc.